Nearly a decade ago, I studied the Word of Mouth phenomenon and wrote a book about it. 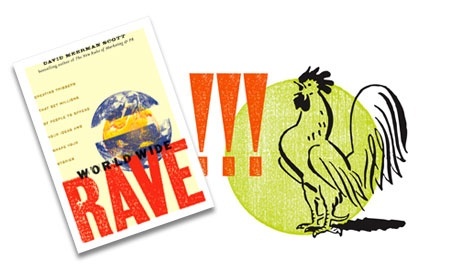 "World Wide Rave: Creating Triggers that Get Millions of People to Spread Your Ideas and Share Your Stories"
I’m psyched that World Wide Rave, the book, is now completely free as a PDF (with no registration required) and on Kindle, iPad, and other ebook readers. A few years later, I looked at how to create real time Word of Mouth by injecting your ideas into a breaking news story. I called this concept Newsjacking and it has become so popular that the word newsjacking is now in the Oxford English dictionary. 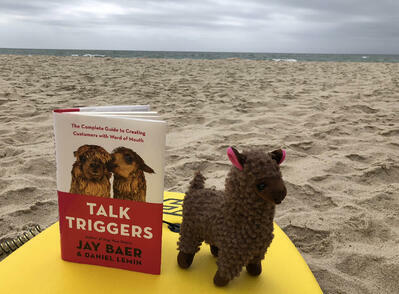 Now comes a new book by my friend Jay Baer and Daniel Lemin called Talk Triggers. It’s the Complete Guide to Creating Customers with Word of Mouth. I love that Jay and Daniel have done a deep dive into what drives Word of Mouth and they outline the exact steps required. I also love the word “trigger” which I used in my subtitle for World Wide Rave nearly a decade ago. Such an appropriate word! Because that’s exactly what you need to do -- “trigger” something which people then do because they want to. 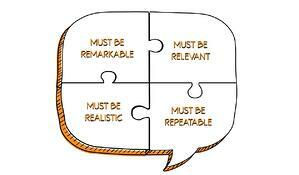 I particularly like the “Four R’s” of Word of Mouth: Must be remarkable, must be relevant, must be realistic, and must be repeatable. Simple, right?! Jay and Daniel go way beyond my ideas because they focus a great deal on offline Word of Mouth whereas with World Wide Rave and newsjacking my focus has been the online world. Talk Triggers includes a bunch of interesting examples of things that get people talking like the enormous Cheesecake Factory menu and cookies served at the DoubleTree by Hilton. Oh, and there are alpacas on the cover of the book. Alpacas are worth talking about. As you can see, my alpaca wanted to go surfing today but the winds were unfavorable, creating way too choppy conditions.